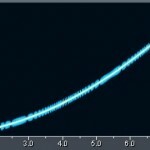 Page 2: What is the Best Free Audio Dithering Plug-in Solution? Tags: Audio CD production, Gear related reviews and tutorials. 1.) 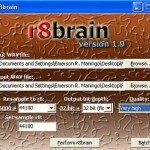 Download the software here. 2.) The downloaded file is archived using .tgz. This cannot be extracted using your usual Windows unzip functions. 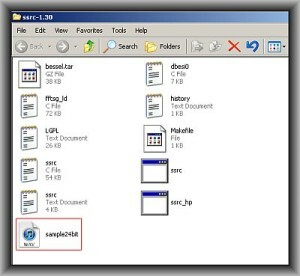 You need software like 7-ZipPortable to extract the file. You may need to perform the extraction twice to get into the final un-archived folders. outputfile.wav – this is the output 16-bit audio file. This is the dithered file. The performance is better than MDA and Audacity because the dithering noise is distributed at a much higher frequencies where the ears are least sensitive. In fact, it is equally superior to Waves IDR performance based on the above data. The dithered response is not very good and it’s noisy. It is obvious that there is no noise shaping implemented during the process. It performs slightly better than MDA, Audacity and Wavosaur built-in dithering features. The dithered noise is distributed at a very high frequency range starting at 16000Hz. One issue is that there is still substantial dithering noise hovering around the entire audio frequency range (click the image for enlarged view). It would be great if there is none. Another command line utility for audio dithering is sox. This is a highly versatile audio utility that can perform beyond sample rate conversion and dithering. Like SSRC, all commands are to be executed in a DOS prompt (if you are using Windows). Raw24bit.wav –> is the test 24-bit audio file. 16bitoutput.wav -> this is the output file name. dither -> you will enable the dithering feature. -s -> you will enable the noise-shaping features of SOX dithering. 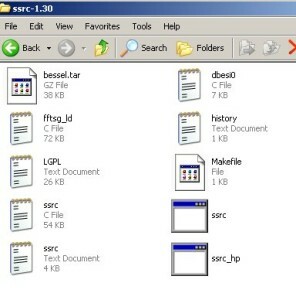 Sox have cleaner response to all free dithering plug-in except SSRC. The dithered noise starts distributing at 14 KHz however there is still substantial dithering noise below 1000Hz which is not ideal. 1.) If quality for you is very important, then you can use SSRC. This is one of the best performing dithering plug-in based on the above test. Sox dithering are promising; I have not fully tested all combinations of their dithering options. But as far as I’ve observed, you can also use Sox for a variety of audio processing implementations. 2.) If you prefer convenience and you don’t like the command line method at all; you can use LOSER/Assecca that have the best dithering response for VST classification. You can as well pick MDA plug-in. 3.) For most users, using MDA or Audacity built-in dithering might suffice for non-critical implementations.